We started by buying a small kit, but then our interest grew. So, not unnaturally, when we began to think about handing over to our daughter, and taking some form of retirement, our thoughts turned to the possibility of opening a dolls house shop. We admit that the thought might well have stayed at just that, if we had not received a huge amount of pushing and encouraging from Vera Jackson, of Jackson´s Miniatures. So it was that over 20 years ago we opened our first shop, in Frome, Somerset. Set in the very oldest part of this historic town, our shop had loads of character, but lacking in space. We subsequently closed this shop and moved to our current premises in Warminster. This second shop is large and airy, with plenty of room to move around and large areas in which to display the stock. Since we pride ourselves on carrying some 28,000 lines, we do need this extra space!. We do admit that stock-taking with this number of lines is something of a nightmare. We have a number of local makers who make items exclusively for us, including a lady of 77, who can turn her hand to pretty well anything! The new shop, as well as having lots of display area and space to move around, also has its own parking and boasts an extra room, just for dolls houses. 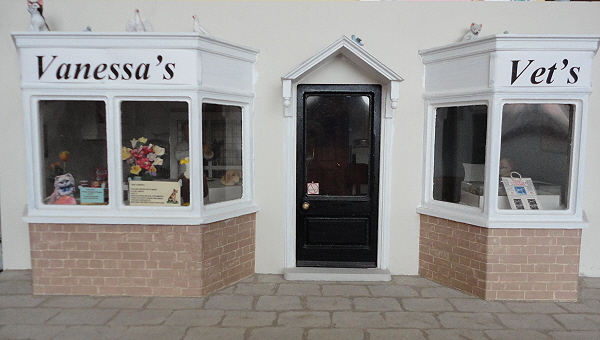 So if you are in the area, or fancy a day out, then do visit Margaret´s Miniatures in Copheap Lane, Warminster. Our featured article is the veterinary surgery. 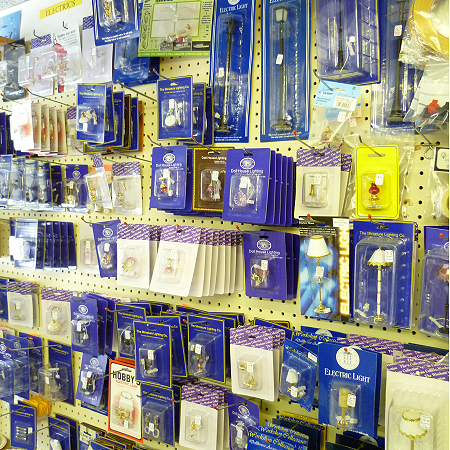 Here are some of the components we hold in stock.